Handmade vase of noble facture. A primary mass of pale purple became covered by a new mass of pale blue, than covered again with purple. A mass of crystal is used to cover the colored one an finally a texture of melted canes are put on the base of the work and modeled. All became covered with a new mass of cristal. The vase once blown receive its last working and the artpiece is so done. 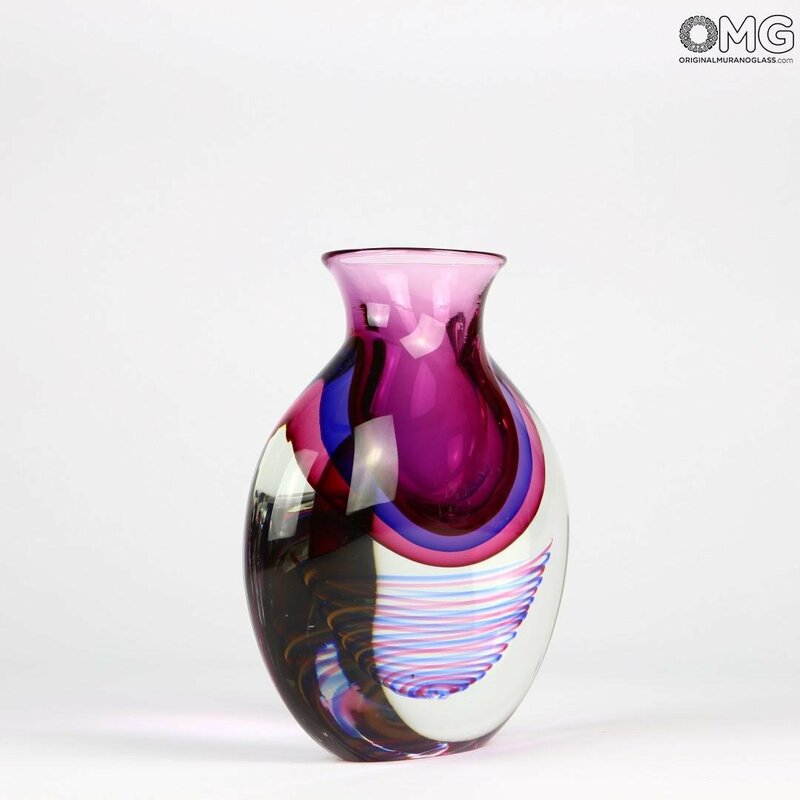 A colorfull vase but at the same time elegant and sober. Well to furnish a vaste kind of furniture.